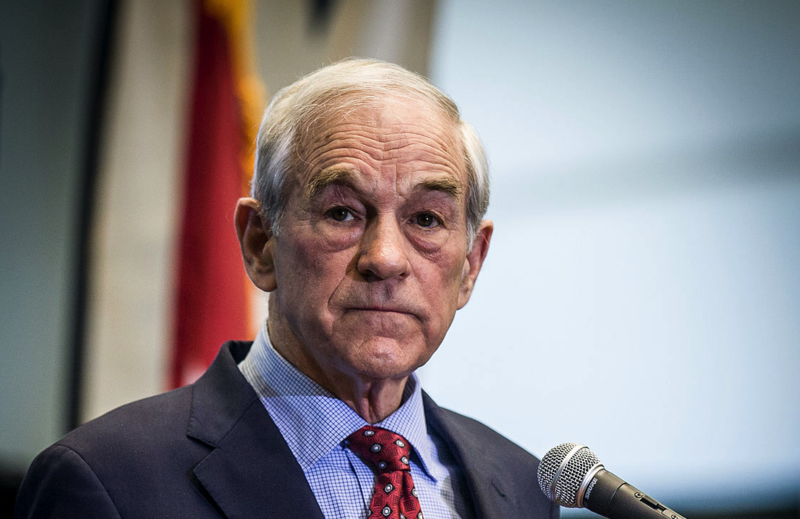 Is Ron Paul about to be proven right once again? For a very long time, Ron Paul has been one of my political heroes. His willingness to stand up for true constitutional values and to keep saying “no” to the Washington establishment over and over again won the hearts of millions of American voters, and I wish that there had been enough of us to send him to the White House either in 2008 or in 2012. To this day, I still wish that we could make his classic work entitled “End The Fed” required reading in every high school classroom in America. He was one of the few members of Congress that actually understood economics, and it is very sad that he has now retired from politics. With the enormous mess that Washington D.C. has become, we sure could use a lot more statesmen like him right now. But even though he has retired from politics, Ron Paul is still speaking out about the most important issues of the day. And what he recently told CNBC is extremely ominous. According to the former Republican Congressman from Texas, the recent jump in Treasury bond yields suggest the U.S. is barreling towards a potential recession and market meltdown at a faster and faster pace. And, he sees no way to prevent it. Of course lots of such predictions are flying around these days. In fact, at this point even the IMF is warning of a “second Great Depression”. Paul is a vocal Libertarian known for an ardent grassroots fanbase that propelled him to multiple presidential runs, as well as his grim warnings about the economy. Yet he has been warning investors for years that an epic drop of 50 percent or more will eventually hit the stock market. He predicted the February correction, but not in size and scope. Actually, stock prices need to fall by at least 50 percent in order for stock valuations to get close to their long-term averages. In the end, if stocks only fall by 50 percent we will be extremely fortunate. Stock valuations always, always, always return to their long-term averages eventually, and usually they fall below those averages during a period of adjustment. In recent days, the combination of extreme valuations and unfavorable market internals has been joined by acute dispersion in daily trading data that often occurs within a few days of pre-collapse peaks in the market. My opinion is that the music has already quietly faded out like the end of a pop song, in a wholly uneventful way, and that even a surprise push to further highs would be marginal. For now, and until market conditions shift, there’s an open trap door under the equity market, and it’s a very long way down. The end of last week was very bad for the markets, and so Monday and Tuesday will be key. If stock prices continue to fall, this could be the beginning of a race for the exits. But if stock prices rebound a bit, it means that we could have some more time. And keep an eye on junk bonds. They crashed really hard just before the financial crisis of 2008, and they are starting to slip here in October 2018. A full-blown junk bond panic would definitely be a very clear sign that a major market crash is imminent. As I write this, all of the markets in Asia are down. Chinese stocks have fallen almost 3 percent, and that is very troubling news. But whether a massive crisis erupts right now or not, the truth is that there is no way that we are going to avoid the consequences of our actions. In total, indebtedness of consumers, corporations, and all governments has grown by $2.04 trillion over the past four quarters. And they’re going to be paying higher interest rates on this ballooning debt. In other words, debt service costs are going to rise substantially. All of this debt has fueled a short-term bubble of relative “prosperity”, but meanwhile all of our long-term problems just continue to get worse. There is no possible way that our debt bubble can continue to grow much faster than the overall economy indefinitely. In fact, we have already been defying the laws of economics for way too long. Eventually all debt bubbles burst, and when this one bursts we are going to experience economic pain on a scale that America has never seen before. About the author: Michael Snyder is a nationally syndicated writer, media personality and political activist. He is publisher of The Most Important News and the author of four books including The Beginning Of The End and Living A Life That Really Matters. The Last Days Warrior Summit is the premier online event of 2018 for Christians, Conservatives and Patriots. It is a premium-members only international event that will empower and equip you with the knowledge and tools that you need as global events begin to escalate dramatically. The speaker list includes Michael Snyder, Mike Adams, Dave Daubenmire, Ray Gano, Dr. Daniel Daves, Gary Kah, Justus Knight, Doug Krieger, Lyn Leahz, Laura Maxwell and many more. Full summit access will begin on October 25th, and if you would like to register for this unprecedented event you can do so right here. Why Is The Media Warning A Recession Is Expected “By The End Of 2020” That Will Be “Worse Than The Great Depression”?